So this is it! 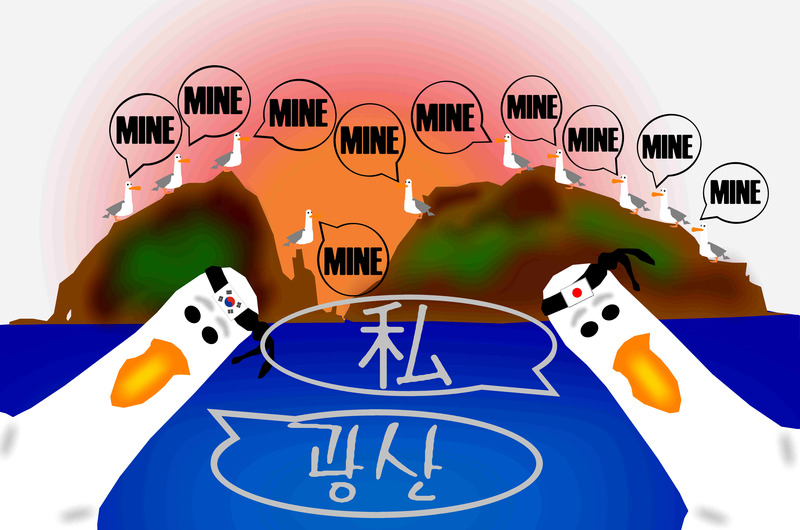 This is my last post from Korea. What an amazingly hectic journey it has been! Wow! Throughout my blog there has been major ups and downs, funny moments and sad ones. My year in Korea as a Native English teacher at a middle school has been many things, put all together it was stupendously f’in amazing! Korea you taught me so much about life, about people and about myself. As I am writing this my heart is overcome with emotion because for a year this has been my home. My friends became my family. That’s whats making it so hard to leave this place. The relationships that we built in trying to decipher this crazy place are ones that are not easily lost! To my Epiker friends, you guys made my experience truly memorable. Korea you will be missed. So for one last time, Cheers from Kimchiland! Today, exactly one year ago I boarded a plane for Korea. I can vividly remember everything that went through my mind as I said my goodbyes and drove to the airport! How I took everything in that 15 minute drive because I knew it will be a while before I see my beautiful country again! Okay okay the drive to the airport is not very scenic but still. We went to the airport something like 4 or 5 hours before our flight because the sitting at home, waiting to leave would’ve made me crazy. So like pulling of a band-aid I said my goodbyes and just left. Now it’s one year later, and I must admit that I had the most amazing year of my life! It has been a non stop adventure, and even though things got a little monotonous towards the end I will never forget this experience! Today I packed my boxes so that they can be shipped home. It finally sunk in that I will be leaving Korea in very soon. What makes this even more daunting is that I have absolute no plan for the future! But now I am taking it one day at a time and will make the most of my last remaining days here in Kimchiland! I am bored! I am not complaining that I am bored, I’m just merely mentioning. It’s that time of year again when all the kids and teachers are on vacation. But because I am a contract worker for the Korean government I get to deskwarm! In order not to loose my mind am keeping myself busy. 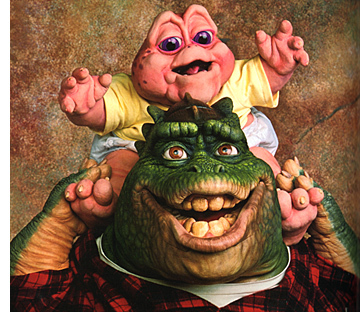 I got an email with the title “you know you grew up in the 90’s if …” and I immediately thought it is one of those annoying emails where you had to send it to 15 people and then you will go to heaven or something. But as I read the email I felt very nostalgic about my childhood, and it reminded me of a world that does not exist anymore. Yes I’m a tad melodramatic and even thought the 90.s only ended 10 years ago, so much has changed! 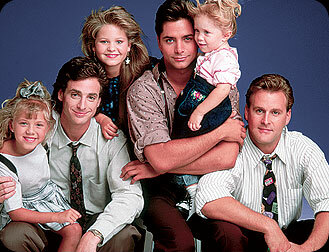 So I will highlight some of my favorite parts of the email and what it was like growing up in the 90’s! I sure can. During break time at primary school we went nuts with these. You only got one in a packet of chips and I knew there are some kids that had like hundred! I was in awe of them! You remember watching Kiddeo, Pumpkin Patch and Zet. In the days before cartoon network came to our shores we only had M-net. And KTV’s saturday morning cartoons were the best! Sure do, I think I read all of them! If you ever got a Zoo Biscuit in your lunch box! Not only Zoo Biscuits but also bite size super C’s or Melrose cheese! We are definitely the last generation to use these! I can remember a time before mp3’s and Cd’s took over. I still had an original Walkman! You knew that Kimberley, the pink power ranger, and Tommy, the green power ranger, were meant to be together. my favorite was always Jason the red one! We only got a computer in 96 and maybe internet only after the millennium turned! I don’t think I have ever watched Takelani, but i sure kan remember Sesamie! If you know all Roxette songs! 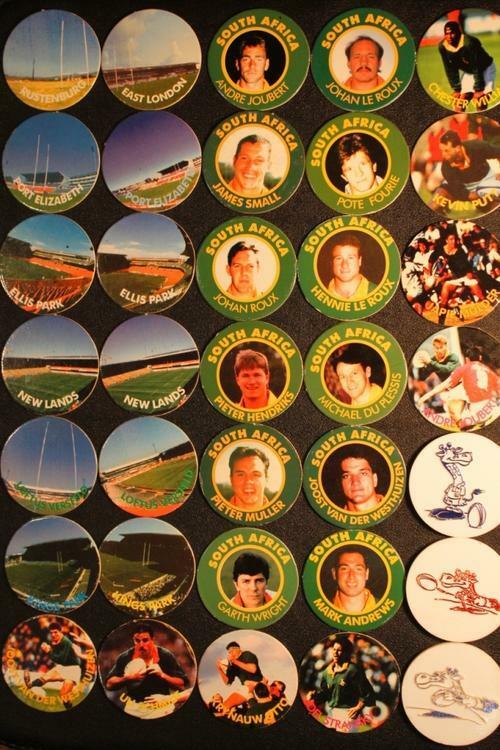 I don’t know if I collected them but I know my sisters and I had a few of them! This was one of the biggest songs in South Africa. Every single teenager knew the word and whenever it came up spontaneously burst into dancing! Brings back great memories especially the awkward school dances! Growing up in the 90’s was super awesome and even though I would have preferred to have grown up in the 80’s, the 90’s in my eyes can be seen as the last simple generation. We grew up without Facebook and internet and even cellphones. TV was just becoming main stream in South Africa. We still had a normal childhood! Those were the days! Shanghai days and Shanghai night(mares)! So the Chinese celebrate their own new year. It’s based on the lunar calendar. Korea also celebrates this Lunar new year, and that meant that I had three days off just after my winter vacation. Now being so close to China I thought it would be excellent to ring in the Chinese new year in China. I booked my ticket and went through the motions to secure a Chinese visa for the second time. Since I already went to Beijing in September, Shanghai was next on my list. I got my ticket for super cheap, half the price of my ticket to Beijing and the flight from Korea to Shanghai was very empty. I had all 6 Emergence exit seats all to myself! I arrived in Shanghai and everywhere I looked there were people. Millions and millions of people. But it’s to be expected of the most populous city in the most populous country in the world! I navigated my way on the super over crowded subways to my hostel, and as I got off at East Nanjing road station I can remember my first glimpse at the Pearl tower. I was super excited to be in this world city. I quickly dropped by bag at the hostel and started exploring. I walked the entire length of the Bund, went on a very boring and money wasting sightseeing tunnel ride to the other side of the river. I explored Pudong and took in the marvel of all the skyscrapers. As it started to get dark I made my way back to the bund and took in the famous Shanghai illuminated skyline. But even though it was new years eve the place was very deserted. Where are the people? Where are the tourists? I went back to the hostel to try and find out if there will be any celebrations or parades for the new. Apparently not. Families get together and shoot fireworks, but it’s all done at home. So coming to Shanghai for Chinese new year was not going to be what I imagined it to be. At around 11:45 pm I strolled back to the bund and waited for the new year to announce itself. There were fireworks everywhere and more people arrived. But midnight came and went without a spectacular fireworks display. Yes there were many fireworks but more random than anything else. That was also my cue to head indoors as the crazy fireworks being lit up in the streets was a definite safety hazard. The next day all of China embarked on the main sights of Shanghai and being squashed was basically the theme for the remainder of my time in Shanghai. Being Chinese new year many establishments were closed thus making things a lot less interesting. An itinerary that was supposed to keep me busy for two days could not even keep me occupied for one whole day. I’ve seen all major Shanghai sights in my first day and a half and I had two more days to kill. That;s when I realised that Shanghai over Chinese new year and 4 days there was not the best decision. But I tried to make the most of it and got really creative with my sightseeing. In the end the crowds triumphed over me and I decided to just get coffee and read my book for a whole afternoon! The rest of my time in Shanghai was very low-key. 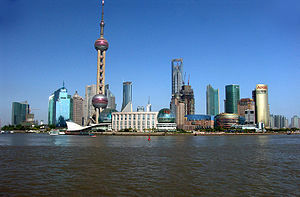 Shanghai did not leave a great impression on me but I don;t think it’s the city, it’s just the timing of my visit. Although I must admit that the Shanghainese are some of the rudest people I have ever come across. This is in complete contrast with the folks from Beijing! I also found that the Shanghainese to be somewhat on the gross side. Spitting and puking more than average, kids urinating ON the sidewalks and so on! They are also very short! I read that in the guidebook that the Shanghainese are very short, but they are all really tiny! It got super angry when a very short guy, probably 19 or so, tried to pick pocket me. Now I am very street smart when I travel and know where to carry what. But on a quiet street on my way back to my hostel I decided to put my ipod in. Waiting at a crossing with about for other people I suddenly felt a hand reach into my coat’s pocket. I casually look to my side and saw that this little Shanghai midget is trying to grab my ipod. Not only did I feel his hand in my pocket but also the bloody thing is connected to my ears. I grab his arm and shove him very hard backwards. I shout at him and curse him only to be looked at as if I am the jerk! What an idiot. If someone is twice your size in width and in height do not attempt to pick pocket him and fail. You will come second my friend! So when I think of Shanghai I think of that idiot!!! All in all I would not want to go back to Shanghai! 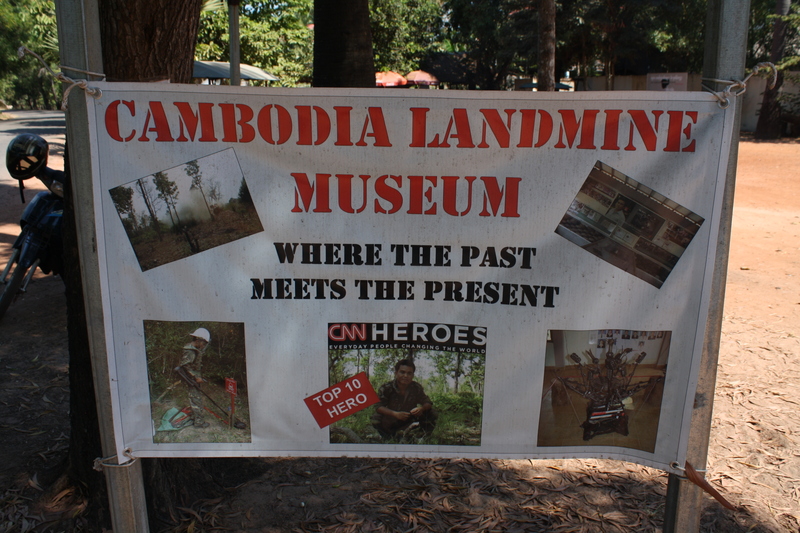 On our way from one temple to another our Tuk-Tuk driver casually asks if we’d be interested to visit the Cambodian Land mine museum. Seeing that we needed a break from temples anyhow we said yes. 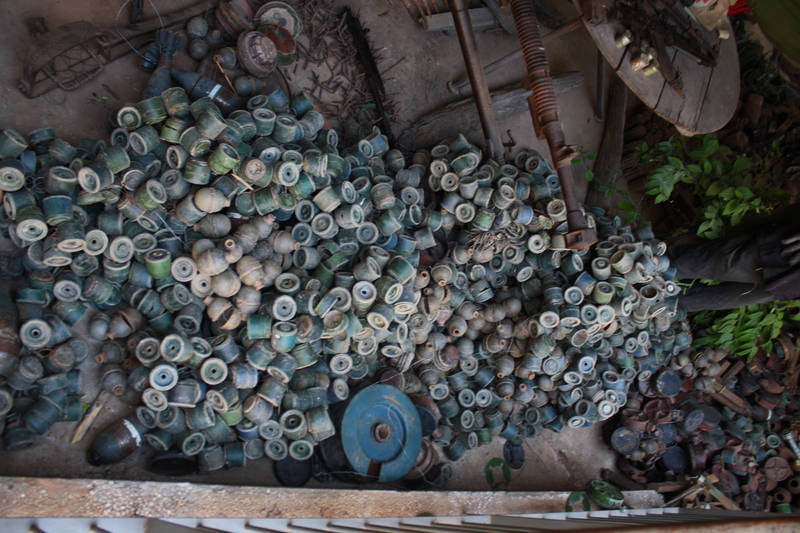 Very nonchalantly we strolled into the museum taking pictures of the workers/volunteers cleaning and rearranging the land mine display in the courtyard. I started reading all the descriptions under the pictures on the wall and sadness struck my core. Asian history is rarely covered in our curriculum so all I knew about the Vietnam war was that America fought Vietnam because there were communists and they didn’t like it. I didn’t even think about the fact that the Vietnam war had a large effect on Cambodia. Together with the many civil and regional wars, Cambodia is in fact a war torn country. Something I did not know. Apart from different political groups in Cambodia raging war against each other, The US, Vietnam, Thailand and Japan all played a part in tearing Cambodia up. It’s shattering to realize that around 35 people are killed a month, every month, due to the aftermath of all Cambodia’s wars. I read on wikipedia that one out of every 275 people have lost a limb. That is shocking. 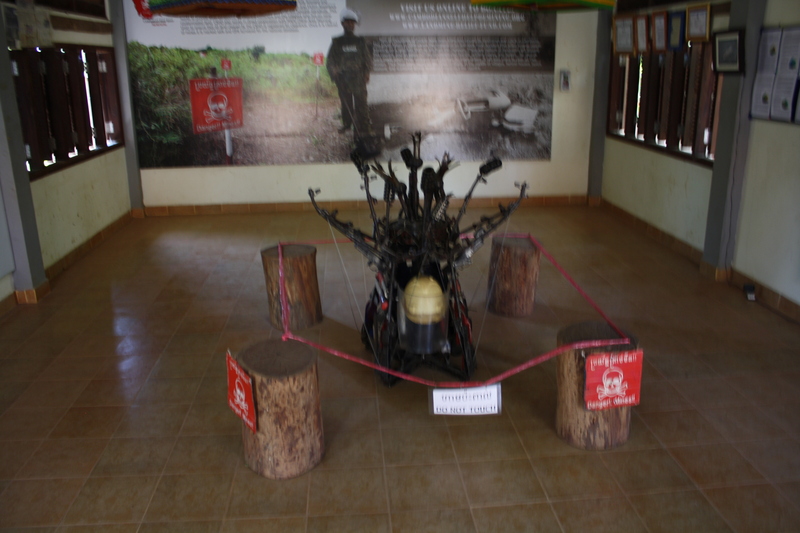 In the museum I read that there are well over 3 million undetonated land mines in Cambodia. 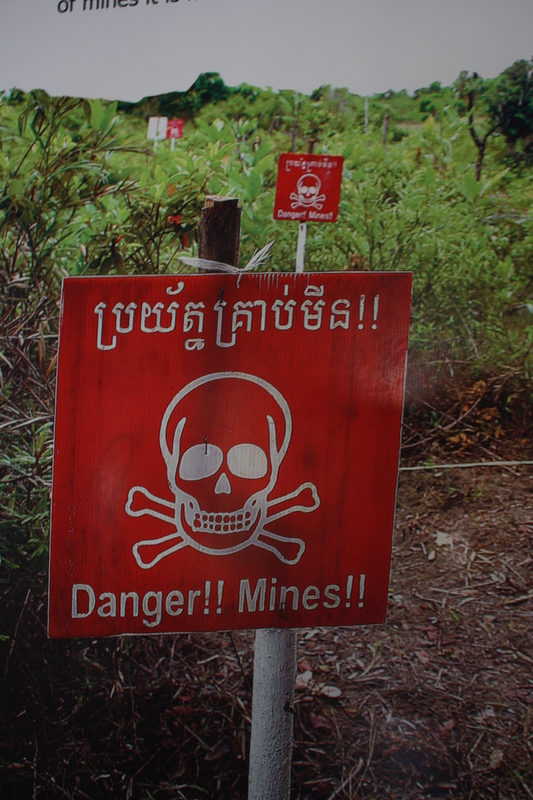 These mines are everywhere – in the countryside, in villages, in the jungles. 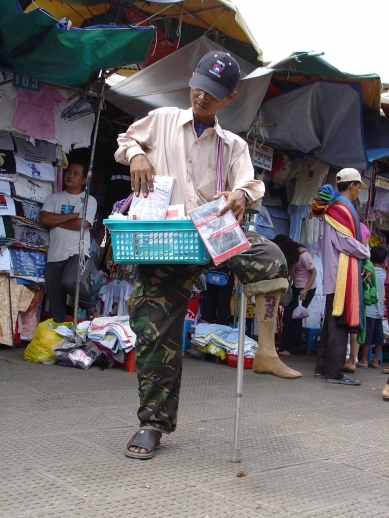 All Cambodian guidebooks actually warn you that you should be very careful whenever you travel off the beaten track.